When VNC is installed, create a session. This will create new VNC session 1. It is not a port number, it is session ID! Also set resolution and color depth for the session. After first start you will be asked for password. Type some, it shouldn`t be the same as your account password. Now when session is created, you can connect via VNC client from another computer. For Windows hosts, I like TightVNC client the most (here). 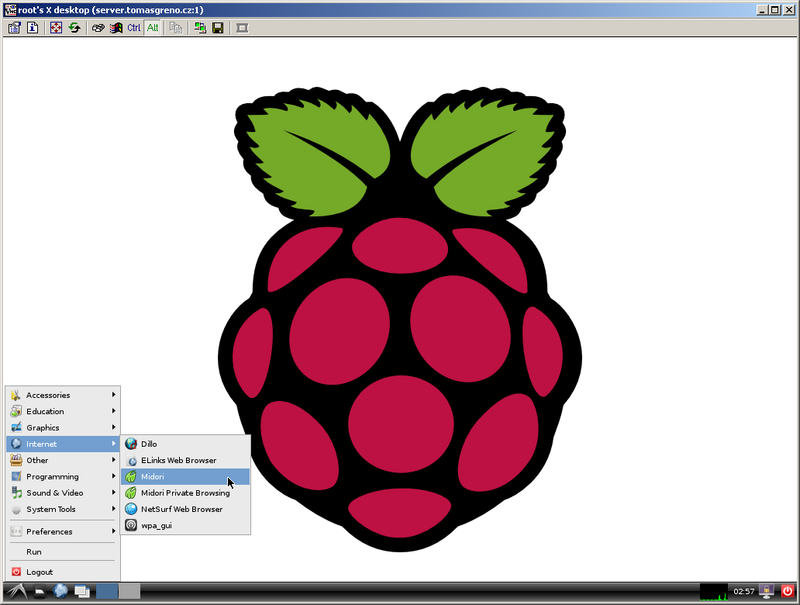 Fill your RPi`s IP address and session ID. Now you should see RPi`s desktop. Close the file (CTRL+X...) and save changes (...press "y" and Enter). Since VNC is using session ID to identify session, you can have many sessions for every user. For example, to add new session for user "user" issue this commands. 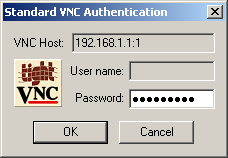 By default VNC server uses TCP port number 5900 + session ID. In case of session ID 1, port will be TCP 5901.